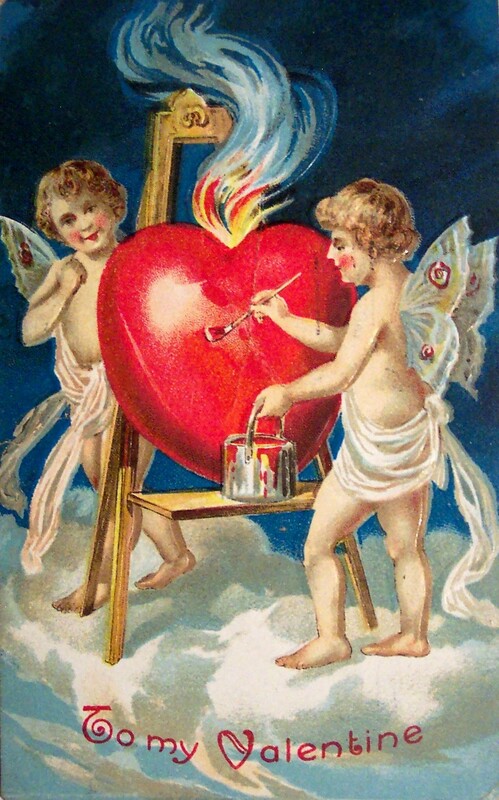 I hope everyone manages to have a great Valentine’s Day, whether you buy into the commercially driven love-fest or not. Whatever you do—and whatever your, um, situation—why not use today as an excuse to live life like a rockstar. Just, you know, maybe without all the overdosing and the hotel room destruction. Valentine’s Day isn’t everyone’s favorite. In fact, for years I was a card-carrying member of the Valentine’s-Is-A-Stupid-Corporate-Trick-To-Sucker-You-Outta-Cash Club. Back in my lonely bachelor days, I figured it was all an insidious plot to make me feel like a huge loser because all my friends were off having fancy dinners while I was treating myself to a Larosa’s “It’s Great After 8” special, a couple of VHS movie rentals (ask your parents if you don’t know what VHS means, and if you’re brave, ask aboutBetamax too) and a six-pack of beer. So maybe check that out. Either way, have yourself a happy little Valentine’s Day. And remember, there’s nothing wrong with buying wine and chocolate for yourself, and that Hulu and Netflix will always love you for you are, holey, stained, sweatpants and all. Next ›I was mostly offline all weekend. Somehow I survived. I certainly didn’t expect a Liebster award! Thank you SO MUCH for the nomination. I’ll do my best to make sure I’m worthy of it.